This evening Sarah and I were in Athens for a bite to eat, shopping for groceries and to Lowe's for materials for her roller coaster project. The local Girl Scouts troop was selling cookies outside of Walmart. 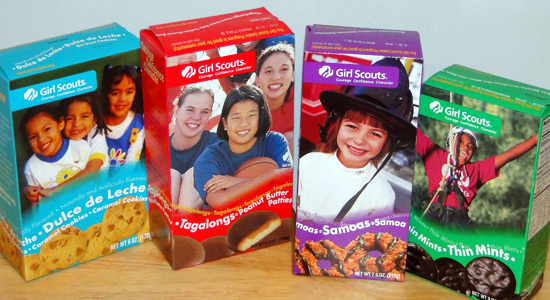 Diet equals four boxes not five.